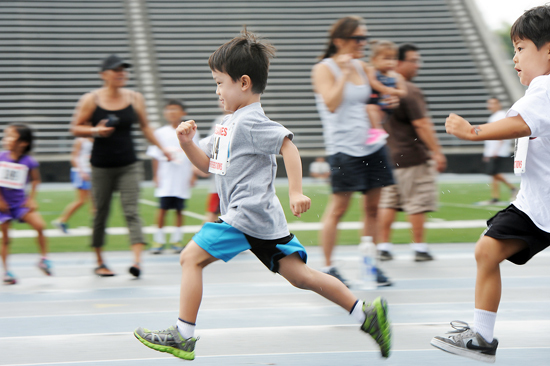 The 2014 Nikkei Games Track and Field events were held Aug. 3 at Cerritos College in Norwalk. 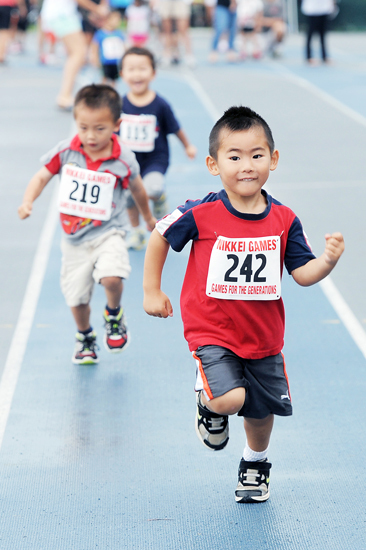 Athletes from ages 1 to over 80 took part in a day of competition and family fun. The results have been certified and are listed below. John Sawamura turns the corner. 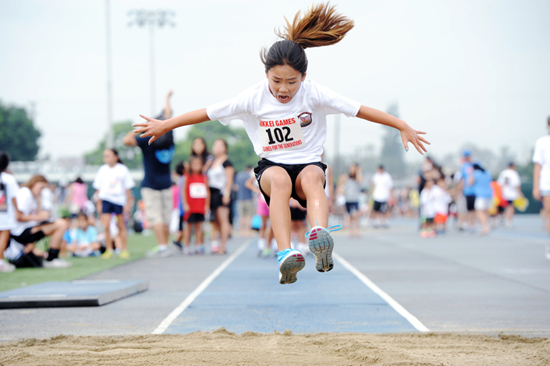 In the girls’ long jump, Kendall Oda takes flight on her way to a gold medal. 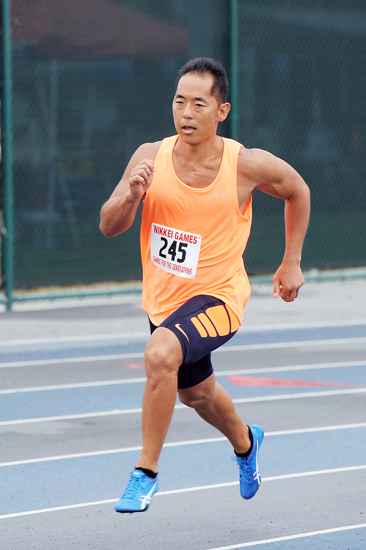 Blake Takakawa sets the pace as Joshua Chan and Grant Morikawa give chase. 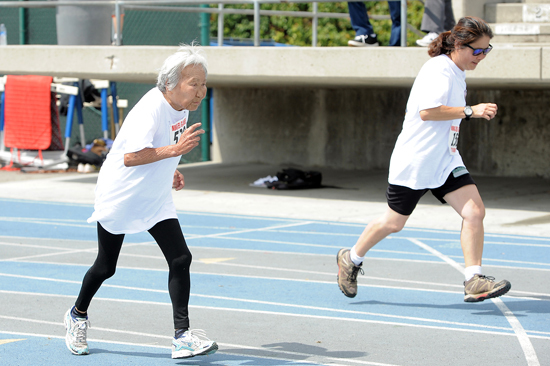 Octogenarian Sumi Onodera-Leonard, left, and Sandra Nitta compete in the women’s 100-meter dash.